Take a break from the norm and enjoy an evening of board games at SLOMA! Every 2nd Thursday of the month, the Museum of Art will host a game night in the galleries. Choose from a rotating selection of tabletop games from Whiz Kids Out-Of-This-World Toys. From party games to worker placement and deck builders, we'll have a board game for any level of gamer. Have a favorite you want to bring? Please do! We love learning new board games. 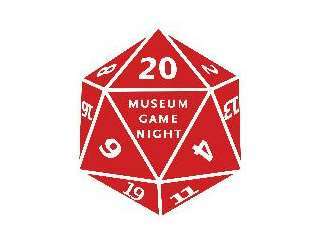 Museum Game Night coincides with the Downtown Farmers' Market. Grab some BBQ and then head up Broad Street to the Museum. We will have beer and non-alcoholic options available for purchase. No outside alcohol permitted. Please bring your ID. Let's Roll! DETAILS // Free admission and open to the public. 2nd Thursday of the month.